I loved eating imitation shark fin soup when I was young. Sometimes I would buy it at a street vendor (which my mom didn’t really like, coz street vendors are dirty), and sometimes my mom would make it. 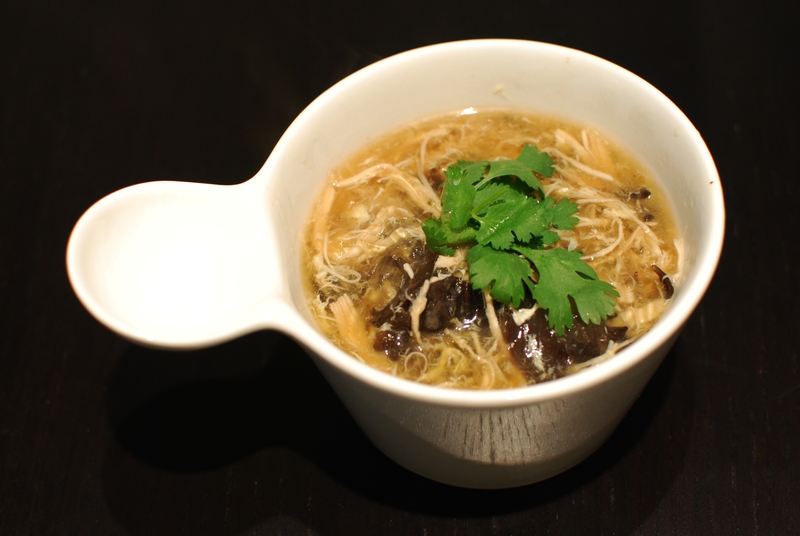 I came across an imitation shark fin soup the other day, and I was surprised to know that it doesn’t take a lot of ingredients to make it… so this is what I have for dinner tonight. 1) Soak the mushrooms and wood ear in water until soft. It takes at least 30 minutes with hot water. You can soak them the night before to make sure that they’ll be soft and ready. Cut them into thin slices. Don’t throw away the water you use for soaking the mushrooms. 2) Shred the cooked chicken or pork. 3) Soak the vermicelli in hot water. When it’s soft, cut the vermicelli into small pieces (about 2cm). 4) In a big pot, boil the chicken stock and mushrom water. Add more water to the pot so that you have about 2 liters of soup base. 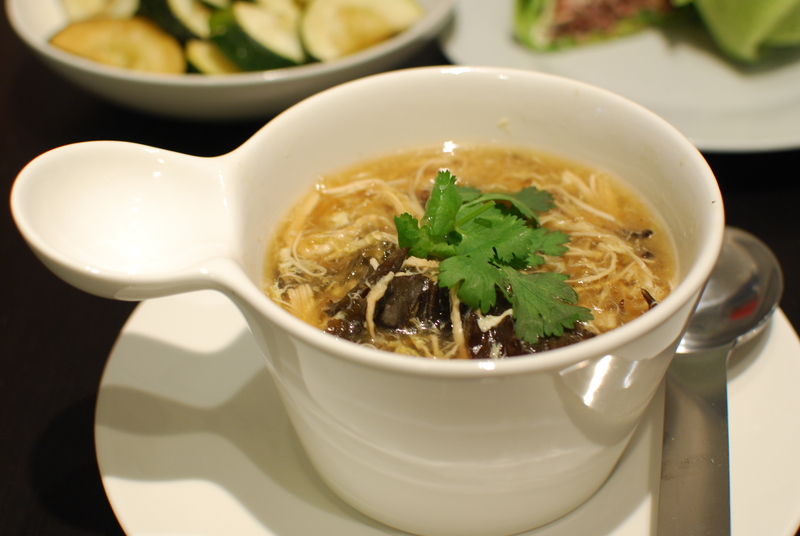 When the water boils, put the sliced mushrooms, wood ears and shredded chicken in the pot. Let it boil for about 10-15 minutes. 5) Beat the egg in a small bowl. 6) When the soup is about ready, put the vermicelli in. Let it boil for a few more munites. 7) Mix the water chestnut powder and cold water together in a small bowl. Make sure you use cold water. Water chestnut powder cannot be dissolved by hot water. It’ll become clumps. 8 ) Slowly pour in 7). 9) Slowly pour in the egg while you’re stirring the soup. And it’s DONE! 🙂 Add whatever condiment you like to enhance the flavour. 1) This soup is actually quite filling. If I have it, I usually don’t need to eat anything else. 2) The water chestnut powder makes it thick. I got the powder in a Chinese supermarket. Not sure if you can find it in western supermarket. This entry was posted on April 19, 2011, 3:31 am and is filed under Chicken, Chinese, Chinese Soup, Soup. You can follow any responses to this entry through RSS 2.0. You can leave a response, or trackback from your own site. Hi… can I use cornstarch to thicken instead of water chestnut powder? I live in Singapore and have never heard of water chestnut powder….